Easy, quick and delicious…three things that make me want to make a recipe again and again (especially the delicious part!). This recipe is a very slight variation on one found on thekitchn.com (thank you!). The chicken thighs are fall-off-the-bone tender and taste like they’ve been marinated for hours and cooked low and slow, but through the magic of one of my absolutely favorite new kitchen tools, the Instant Pot, they’re ready in about 30 minutes. This is a based on Filipino adobo (adobo is derived from the Spanish word adobar, which means “marinade” or “pickling sauce”), which is a cooking process in Filipino cuisine that involves meat, seafood or vegetables marinated in vinegar, soy sauce, garlic and black peppercorns (I added a little Sriracha because, well, I like to add Sriracha to everything), which is then browned in oil, and simmered in the marinade. It has sometimes been considered as the unofficial national dish in the Philippines. The Instant Pot has made this dish faster, easier to prepare and much more accessible, without sacrificing any of the flavor. 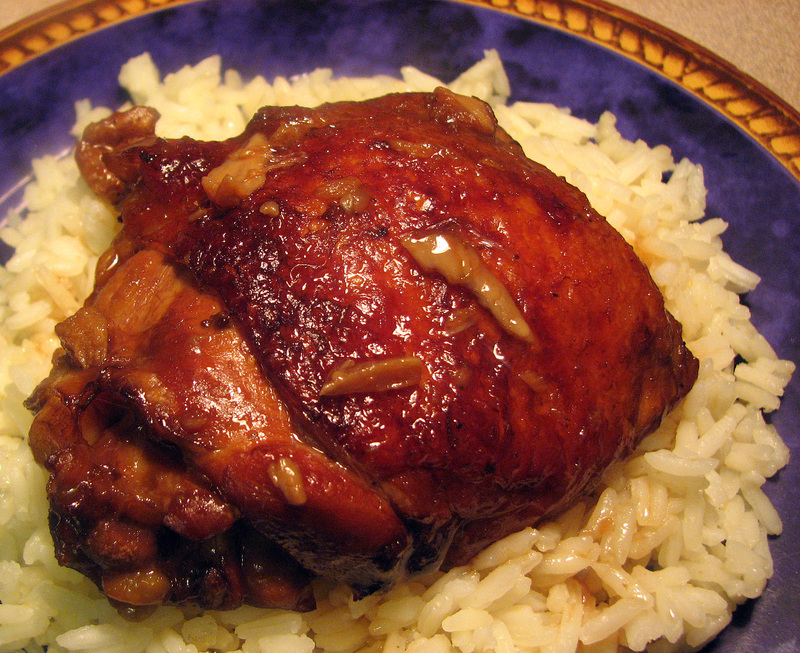 Like most popular ethnic dishes, there are many differing opinions as the right way to make adobo. In my opinion, as long as the results taste great, any recipe is a great recipe. This is my version, it’s incredibly delicious, and I’m sticking to it.